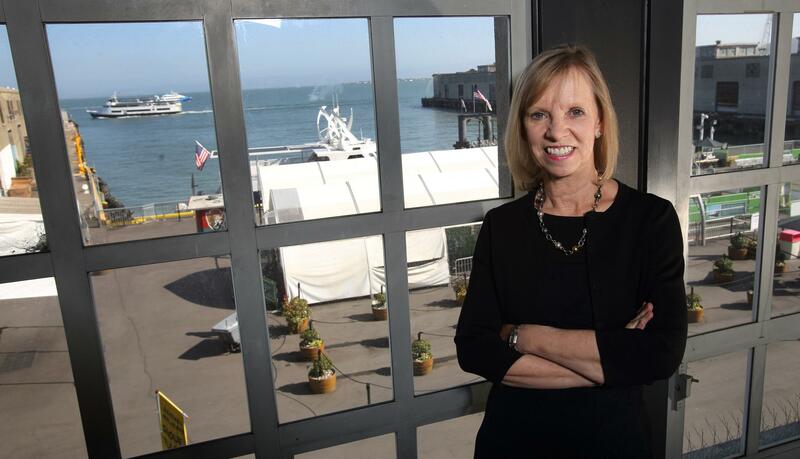 Women searching for inspiration in the tech field need look no further than Ann Winblad, co-founder and MD of Hummer Winblad Venture Partners. Standing at 5’2, Winblad professes to be the shortest VC in tech and insists her business partner and former professional basketball player, John Hummer, is probably the tallest at 6’10”. Together they make a formidable team which has stood the test of time as the firm was established 24 years ago in 1989 and has invested in more than 100 new software companies including Omniture, Hyperion and WindRiver. Hot Topics’ Tom Lytton-Dickie caught up with Winblad to learn about her 30 year career in software, when to turn down a deal and the requirements of a VC. Ann Winblad’s entire career has been spent in software. Her first venture of her own was Open Systems, an accounting software company, where she transformed a $500 investment into a $15m exit. Whilst contemplating what to do next she met VC and former professional basketball player John Hummer. “John stalked me for a whole year. He said he wanted to start a new firm, focused on software inventory as he knew it was going to be the future and needed a software expert. I took a lot of convincing as I love building products, working with my team, competing with other companies but John was very good at stalking,” she quipped. We have turned down some deals because we felt it was not a fit to any of the partners who would sit on the board knowing that as soon as they walked out of the room someone else would fund them immediately. Others often take a people risk that we would not. Last year, roughly 55% of VC funding went to software companies. However in 1989, it was a different story so the decision to focus on the software space was somewhat controversial. It took 133 meetings before they got their first partner to commit. Most people would have been somewhat deterred, not Winblad. “It made me more determined being the fierce competitor that I am.” Software was an under focused sector and in many ways our role was to bring the software industry to the venture industry. Twenty four years later and the firm is going strong, although she asserts that the job is not for the faint hearted. “If you don’t like uncertainty or change, don’t sign up to be a VC, especially for a firm based not only on software but also in the first venture round of investing. You are investing right when change is shaping, so you are always leaning forward and faced with uncertainty,” explained Winblad. In terms of accessing the best deals in Silicon Valley, Winblad said it is not as competitive as you might think at A round as “there are only so many venture firms that are willing to do the really high risk part”. The competition really starts when there is an operating model that has already proved to be successful. To sustain a high quality deal flow, the company attempts to meet entrepreneurs long before you might invest in them by visiting incubators, accelerators and innovation labs and “being part of the entrepreneurial flow long before some of these companies are started”. Inevitably, there are always entrepreneurs and businesses they have said no to, but who they should have invested in. Whilst there are clearly a number of reasons for turning an opportunity down, “finding a big market opportunity and a team that is the right fit for the firm is paramount,” Winblad said. “We have turned down some deals because we felt it was not a fit to any of the partners who would sit on the board knowing that as soon as they walked out of the room someone else would fund them immediately. Others often take a people risk that we would not” she added. Although running ‘US smart’ companies remains a requirement to be of serious size, the global market means Hummer Winblad looks for innovation wherever it can as was the case with the investment in core integration platform MuleSoft, formed in Malta; now based in San Francisco. However, Winblad suggests that there is an unfair competitive edge to being based in Silicon Valley and in the US in general. “The truth of the matter is that of the $29 billion of global venture funding last year, over 50 per cent of that money never left Silicon Valley. If you include New York and Boston, it’s 80 per cent of the money,” explained Winblad. “This is a high risk asset class. When things are going well, there’s plenty of money everywhere, including in Europe. However, when there is any kind of down turn, like there was in 2001 and 2008, money evaporates significantly except here in Silicon Valley.” After 30 years in the software industry and 24 years at Hummer Winblad, it would be understandable if Winblad’s enthusiasm was starting to wane somewhat. She laughs at the suggestion and states that VCs need a lot of intellectual stamina, intellectual curiosity and intellectual joy, stressing that when companies are being built “it is super, super exciting and the joy of success keeps the intention for hard work going and the curiosity for new ideas flowing”. What then does the future hold? “What I would say about VCs and myself is that we don’t predict the future. We only get a chance to participate when it comes our way. “So I always wait for the future to come to me versus determining what I am going to do with it,” she concluded.